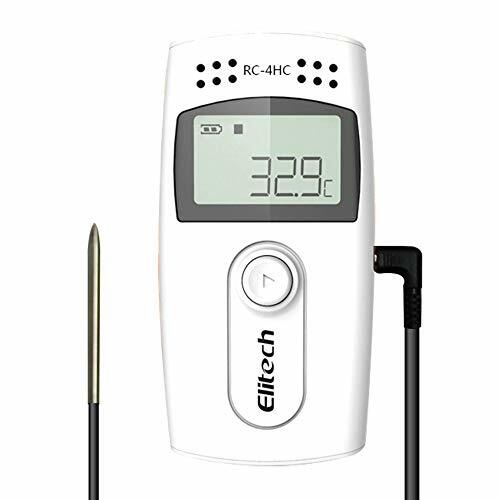 Elitech RC-4HC Mini Temperature and Humidity Data Logger is mainly used for temperature and humidity recording during storage and transportation of foodstuff, medicine, chemicals and other products, especially widely used in all links. 3. Temperature unit: ºC or ºF optional, set through RC-4H data management software. 12. Ambient environmental temperature: -30ºC~+60ºC;in the low temperature environment, LCD displays slowly, while it has not an impact on the normal measuring nor recording. Once the temperature recovers, it could display normally.